The peaceful protests carried out by Indigenous, peasant and Afro-descendant communities as part of the ‘Minga for the defense of life, territory, democracy, justice and peace’ have again been met with brutal violence by State forces. On April 2, the Regional Indigenous Council of Cauca (CRIC) reported that Deiner Ceferino Yunda Camayo, a 20-year-old from the Jebala Indigenous reservation in the Cajibío municipality of Cauca, was assassinated when the national army fired at the mobilization with live bullets. According to the denouncements by CRIC, prior to the assassination, as early as 7am on April 2, the Mobile Anti-Disturbance Squad (ESMAD), national police, national army and armed civilians approached the Minga mobilization camp in the La Pajosa town in Caijbío and began to engage in threatening and violent actions against protesters, such as aiming their guns at them, launching tear gas canisters and shooting unconventional weapons. The actions left several people injured and in a critical condition. They also reported that electrical connectivity in the area around the camp was suspended for an hour during the attacks. At 10:30 am, members of the national army fired at protesters from a neighboring coffee plantation which caused the death of Deiner Ceferino Yunda Camayo. 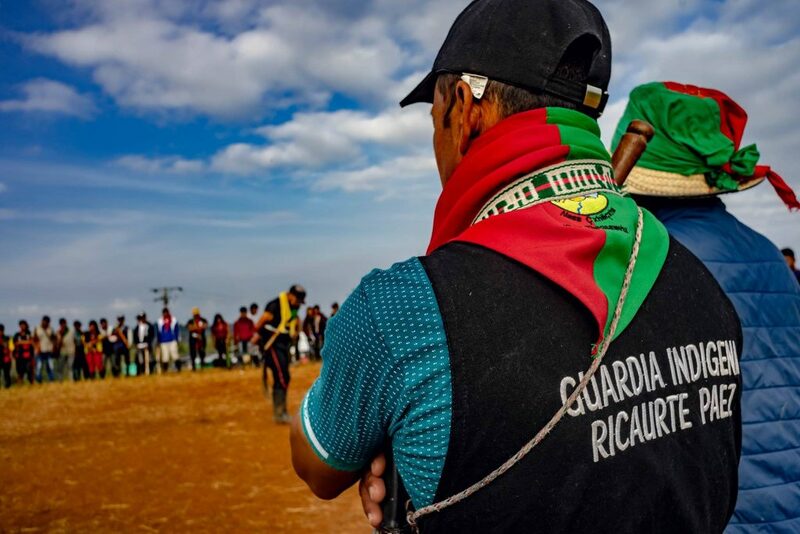 The following day, on April 3, in the municipality of Morales in Cauca, the Minga participants were violently attacked by the ESMAD at 12:30 pm, CRIC said in its human rights bulletin. They reported that members of the public force arrived at their camp and burned the tents, the kitchen, food and belongings of the community members. They also entered nearby houses and attacked the inhabitants, injuring several people, including Rubén Guetio, the governor of the Indigenous Council of Cerro Tijeras, and three other community members. It was reported that members of the national army shot at the Minga participants and against the medical team. In the University of Valle in the city of Cali, while students mobilized in support of the Minga and to denounce the assassination of their comrade Jonathan Landinez, there was an explosion near the offices of the trade union Sintraunicol which left 3 injured and one dead. 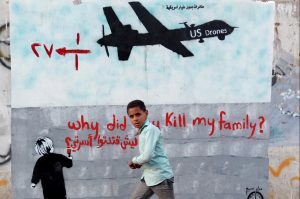 The explosion is still being investigated but student organizations pointed out that during the incident a drone and a helicopter of the National Police were flying overhead. The explosion has been exploited by the right wing and mainstream Colombian media to vilify and attack the student movement calling them terrorists, guerrilla fighters and other threatening labels. On the same day, the offices of CRIC and the Committee of Integration of the Colombian Macizo (CIMA) in the capital of Cauca, Popayán, were attacked by a group of violent individuals while the public force refused to intervene. Teachers, students and community organizations attempted to peacefully defend the office but they were attacked by the individuals who damaged the offices and injured the people who were there, including journalists and the elderly. Juan David Rodríguez, a journalist from Colombia Informa, reported that as he was taking pictures during the incident, he was hit several times, threatened with a knife and individuals attempted to take his camera from him. This was despite his being identified as a journalist by his vest and press badge. 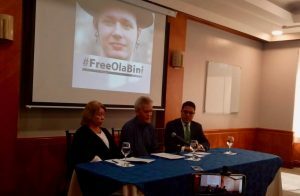 Organizations have repeatedly pointed out that even as all this violence was being unleashed on the communities, the public force that was nearby did nothing to protect the people or the offices. 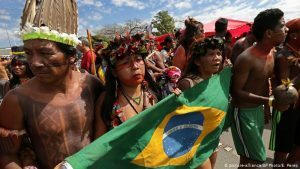 Indigenous, peasant and Afro-descendant communities have been mobilizing in the south west of the country for the past 25 days, demanding that president Ivan Duque go to the Cauca department and meet with social organization to address their demands. 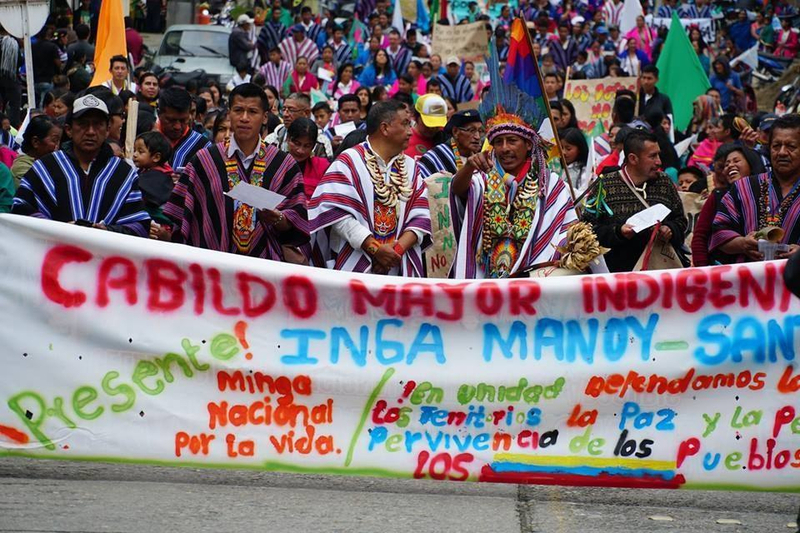 Communities from across the region have engaged in diverse actions, including blockades on different points of the Pan-American Highway, to call attention to the president and raise awareness on their demands as part of the Minga. In addition to dialogue with the president, the Minga has raised concerns about the violation of agreements made with the organizations in the region by the national government, as well as the violation of the fundamental rights of ethnic and peasant communities. They have also denounced the systematic assassination of social leaders across Colombia. More than 450 social leaders have been assassinated since the peace agreements were signed in 2016, and the government has yet to take real measures to protect the lives of those who defend rights and peace in Colombia. The passive response of the public force to the violent incidents in Popayán and their lack of will to protect the members of the organizations and their offices was condemned by the organizations, who have faced the full weight and force of the State’s repressive apparatus. On March 16th, one of the camps at a Minga mobilization point was burned to the ground while the participants, human rights defenders and journalists were attacked by ESMAD units. Organizations also reported that the national army, on several occasions, has fired live ammunition at the participants of the Minga, gravely injuring several and causing fear among the population. Despite the constant repression faced by the communities, the mobilizations are growing. 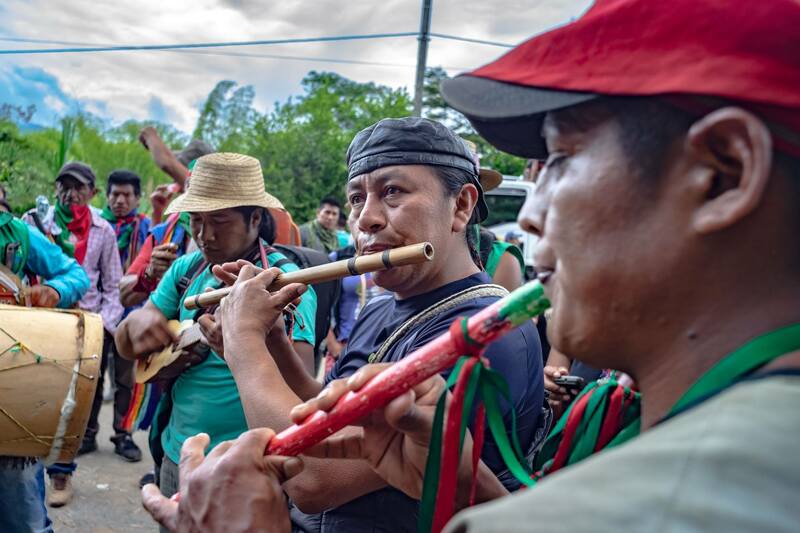 Last week, the Inga and Kamentsá indigenous people mobilized in the Valle de Sibundoy, Putumayo on the highway that connects the departments of Putumayo and Nariño. Several Afro-Descendant communities, organized in communal councils across the south west, have also joined in the mobilizations. In the principal cities of Colombia, mobilizations in solidarity with the Minga have been held and many organizations are preparing for the National Civic Strike that will begin on April 25 across the country. Minga is an Indigenous Quechua word which refers to collective voluntarily work to benefit the community. Hey Buddy!, I found this information for you: "Colombian state intensifies repression while mobilizations across the country grow". Here is the website link: https://peoplesdispatch.org/2019/04/04/colombian-state-intensifies-repression-while-mobilizations-across-the-country-grow/. Thank you.